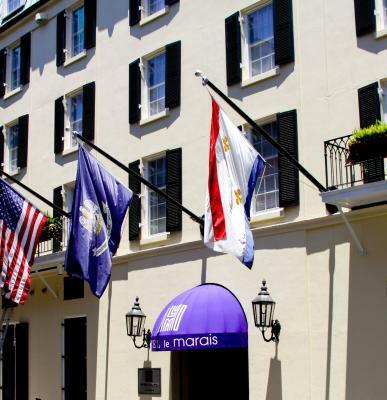 Lock in a great price for Hotel Le Marais – rated 9.3 by recent guests! Great bathroom. Bed was comfortable and place was clean. The room was quite large, which is one of the reasons I chose it over the Hotel Montleone, where some reviews remarked on how small the room was. The bed was very comfortable. The bathroom was small but had all the amenities required. The staff were very helpful with directions; the breakfast was great! And, of course, the location was very convenient. The staff was friendly. If we had a problem, it was fixed quickly. The breakfast was delicious. The location was pretty good. 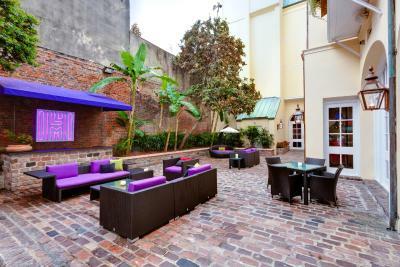 It would be great for someone wanting to stay near Bourbon St.. The valet parking was fast, we asked for our car & it was delivered within 5 minutes. The featured cocktails were amazing, I had the Pear Violette & my husband had the Hemingway. The bartender was great. Thanks for the 2 complimentary drinks! the location was great. we walked to Sanger theater at night to and from for the the evening performance and felt safe. used canal and bourbon to the hotel. rain next morning so didn't walk the interesting neighborhood. have been there before. Location, location, location Amazing staff Great room Great courtyard Loved all of it! Breakfast was a good value. Bacon was excellent and coffee always hot. 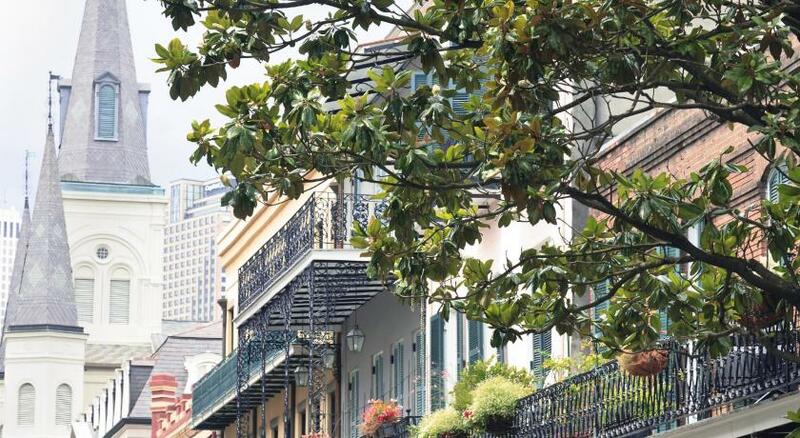 Location of hotel was perfect for shopping on Royal or entertainment on Bourbon street. Housekeeping staff was excellent. 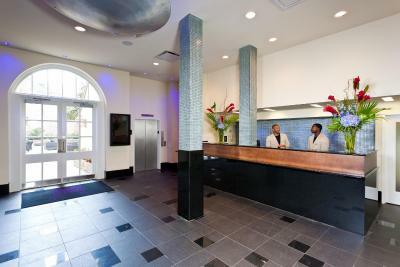 Our room was always cleaned and serviced efficiently and the staff was extremely friendly. 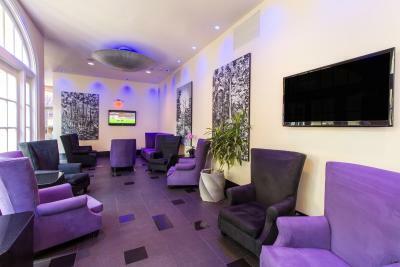 The location was perfect, rooms were clean, staff was extremely nice and knowledgeable of hot spots. The staff was excellent, I had a little issue with my room due to the AC but Mr Peirre handled it! Also Wentrell was amazing, she always stopped to check on us at breakfast it was so nice!!! Great, friendly service and very clean. Hot breakfast in the morning that was kept fresh. 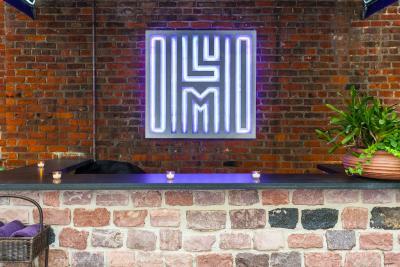 Hotel Le Marais This rating is a reflection of how the property compares to the industry standard when it comes to price, facilities and services available. It's based on a self-evaluation by the property. Use this rating to help choose your stay! 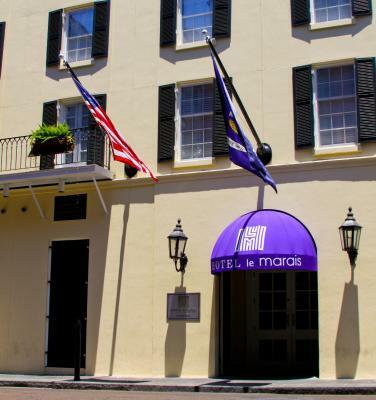 One of our top picks in New Orleans.Located in the French Quarter and within a 5-minute walk to Bourbon Street, Hotel Le Marais offers accommodations with an on-site bar. 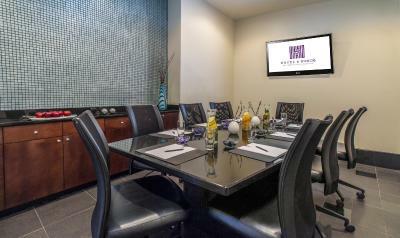 A complimentary continental breakfast is served each day. Rooms at Hotel Le Marais include a flat-screen TV with streaming device, walk-in shower and bathrobe. 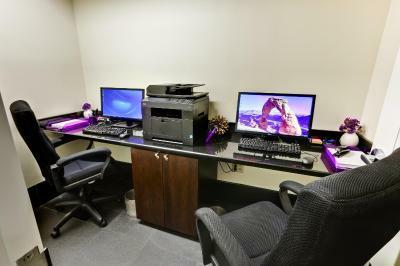 A work desk and seating area are provided. 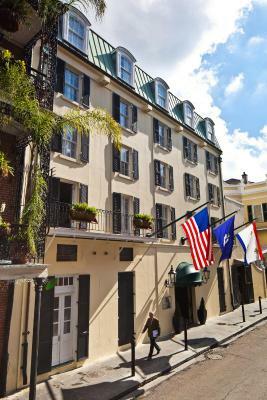 Select rooms are equipped with a balcony, while others offer views of the courtyard or French Quarter. 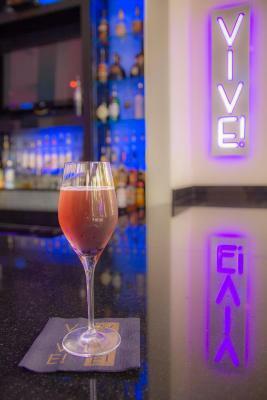 Vive!, the on-site bar, offers a wide range of cocktails and wine with indoor and outdoor seating. Guests are greeted with a complimentary welcome beverage from the bar upon check-in. Guests can enjoy the heated saltwater pool, shared lounge area or landscaped courtyard. 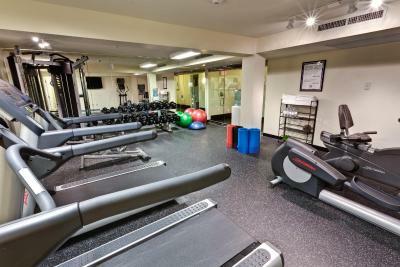 A business center, fitness center and free WiFi are also provided. 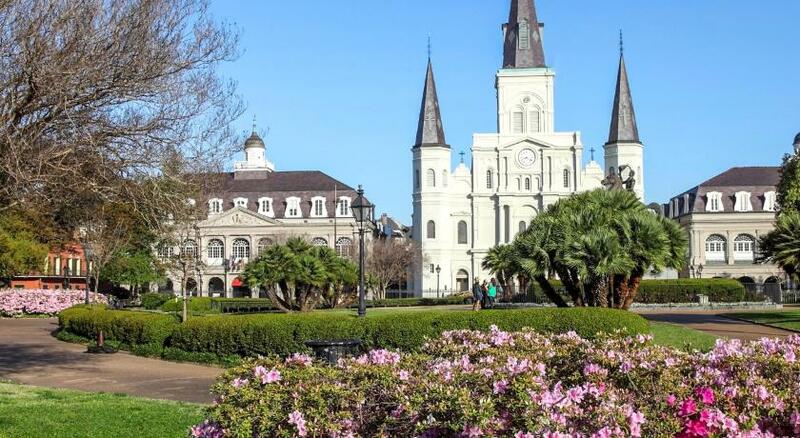 Jackson Square and St. Louis Cathedral are less than a 10-minute walk away. 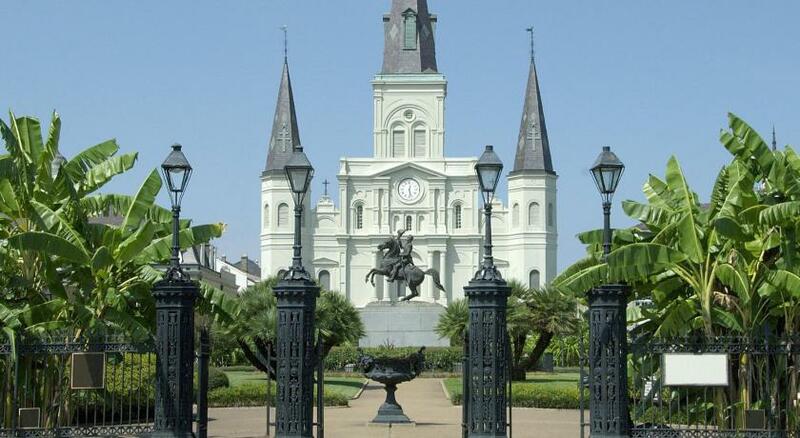 Mercedes-Benz Superdome is 0.9 mi from Hotel Le Marais. Louis Armstrong New Orleans International Airport is 12 mi away. 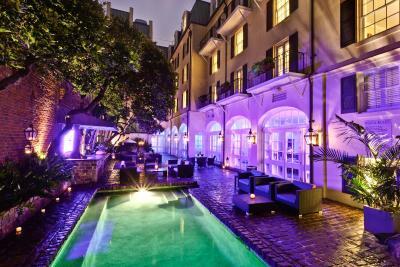 When would you like to stay at Hotel Le Marais? 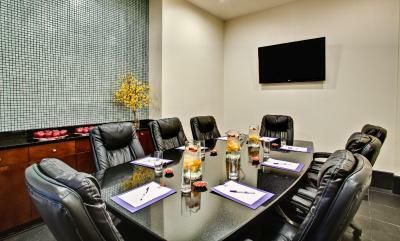 This room is equipped with a flat-screen TV with streaming TV device, work desk and walk-in shower. Two complimentary bottles of water are provided. There is a coffee maker and ironing facilities in the room. 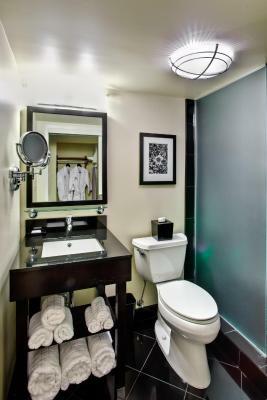 In the bathroom you will find a hairdryer, toiletries and bathrobe. Public parking is available on site (reservation is not needed) and costs USD 38 per day. Be inspired by an effortless amalgamation of classic and modern. 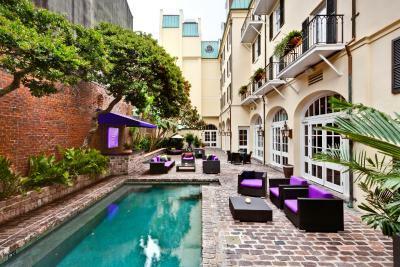 Hotel Le Marais is an upscale boutique hotel in New Orleans. 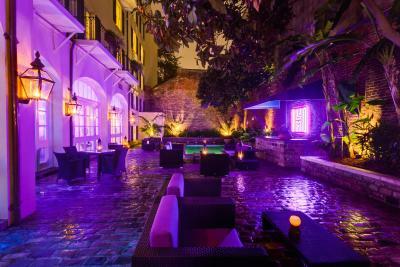 Voted as the #2 hotel in New Orleans in the Conde Nast Traveler's Reader's Choice Survey, this French Quarter hotel is a modern and upscale sanctuary with four-star amenities and a high level of personal service. The place to see and be seen. 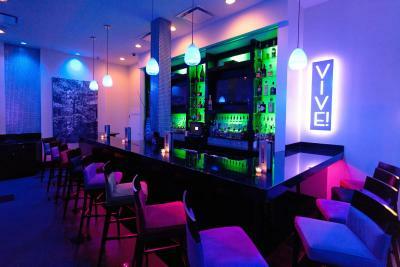 Our trendy French Quarter bar Vive! 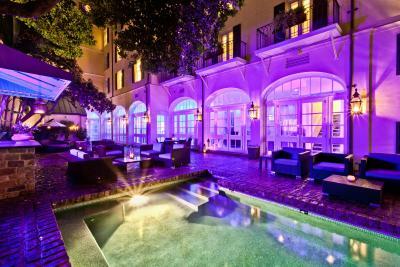 opens into a charming courtyard and offers a selection of signature cocktails. 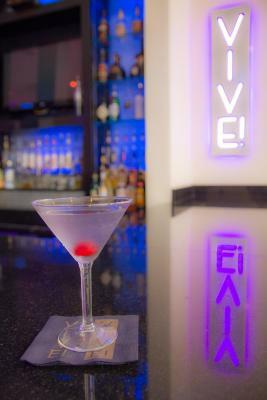 Guests are welcomed with a complimentary beverage or cocktail of their choice. Stay connected to the pulse of the city. Step outside our boutique hotel and you will find the city's best restaurants, art galleries and shopping. 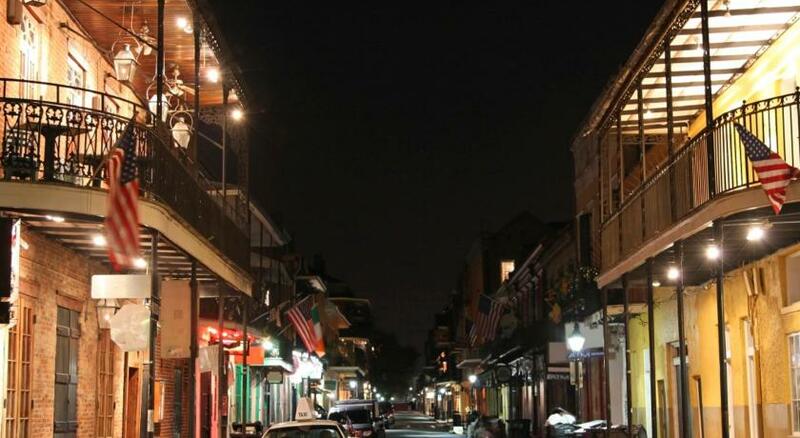 Experience New Orleans come alive at night. 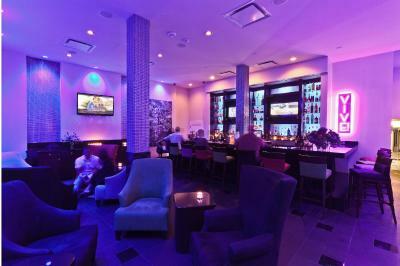 A half block away, you will find the jazz clubs and nightlife of Bourbon Street. House Rules Hotel Le Marais takes special requests – add in the next step! Hotel Le Marais accepts these cards and reserves the right to temporarily hold an amount prior to arrival. Please note that additional fees apply for oversize vehicle parking. Please contact the property for more details. Please note that parking rates are subject to change without notice and special rates may apply during events. Only one elevator. Another would be nice. The only thing I would have changed: I would have asked for a room that was NOT facing the street. The noise from nearby Bourbon Street kept me awake the first night or two, then I got used to it. But a room in the back of the hotel would be better. The room had big bugs. Caught the front desk and the bar woman laughing about me after I came down in tears to complain. When I told the front test I was checking out due to the bug he stated oh it's not that bad. Well I got pictures and yes it was that bad. The pool was dirty and not heated. That was one if the reasons I picked this hotel over my original choice. The cleaning crew was very polite. The room was spacious, clean and very comfortable. The bed was very big and very comfortable. 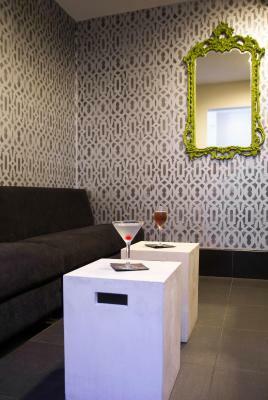 The hotel is very centrally located with a great selection of restaurants and bars virtually on the doorstep. The breakfast choice was sufficient and tasty. The staff were friendly and helpful. Excellent location! Friendly staff. Easy parking (valet across the street). Room was very small, at the end of the hall, no view not much light. The front desk guy was rude, smug and condescending when I accidentally used a different credit card than the one I used to reserve Booking.com. He said that he wanted a card for incidentals so I gave him my ATM and then he proceeded to charge the entire amount onto my debit card. It was my fault for giving him the wrong card BUT he was really smug and smirked when he said I needed to have read the small print so I would understand the policy. All in all - the hotel was great but I was glad to never have to see that guy's face again during my stay. What a jerk! PS - The pool was supposed to be heated bt it was freezing, no heat as far as I could tell so we did not swim. Great location! Comfy bed and nice room. The first night, there was something on the sheets—hopefully, chocolate. The sheets were taken care of quickly. Balcony room a bit noisy at night but location was well worth it. Great location. Breakfast was good.